Colin Taber was born in Australia in 1970 and announced his intention to be a writer at the innocent age of 6. His father, an accountant, provided some cautious advice, suggesting that life might be easier if his son pursued a more predictable vocation. Over the past twenty years Colin's had over a hundred magazine articles published, notably in Australian Realms Magazine. In 2009 his first novel, The Fall of Ossard, was released to open his coming of age dark fantasy series, The Ossard Trilogy. The second installment, Ossard's Hope, followed in 2011 and was supported by a national book signing tour. 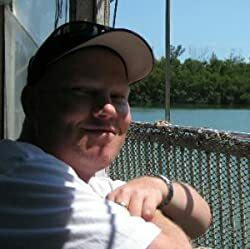 Currently Colin is working on the final book in that trilogy, Lae Ossard, and a new series that will see release in early 2013. Colin has done many things over the years, from working in bookshops to event management, small press publishing, landscape design and even tree farming. All he really wants to do, though, is to get back to his oak grove and be left to write. Thankfully, with an enthusiastic and growing readership, that day is coming. He currently haunts the west coast city of Perth. Please enter your email address and click the Follow button to follow Colin Taber! The Ossard Series (Books 1-3): The Fall of Ossard, Ossard's Hope, and Ossard's Shadow. The Ossard Series, Books 1-3: The Fall of Ossard, Ossard's Hope, and Ossard's Shadow. A short story telliing of the end of a war and the birth of a curse.